Preservationists who have waged a battle against Foster + Partners’ planned renovations of the New York Public Library received bad news Tuesday: The Landmarks Preservation Commission approved the library’s application for changes to its Beaux-Arts exterior, mostly on the side facing Bryant Park, in a six-to-two vote. 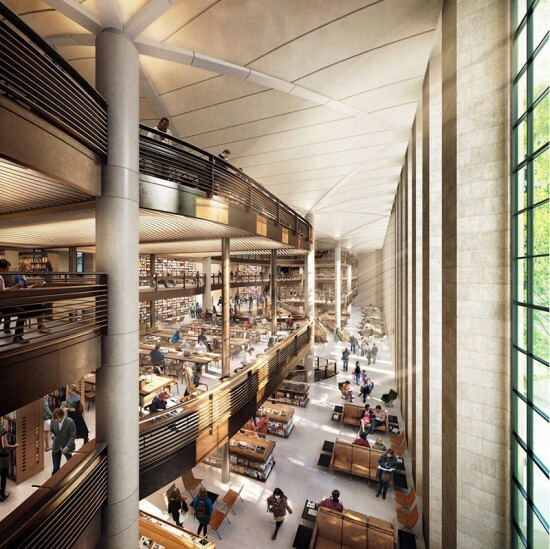 The $300 million renovation calls for removing seven floors of stacks beneath the famous Rose Main Reading Room to accommodate a large workspace and the collections from the Mid-Manhattan and the Innovative Science, Industry, and Business Libraries. This might be a major step forward for the library, but the approval process is not yet over. The Wall Street Journal reported that the Landmarks Commission can only vote on changes proposed to the landmarked exterior—the decision about the stacks is out of their hands.